In the heart of France's Champagne region, the Morlet family has been handcrafting award-winning Champagnes for four generations. The Morlet vineyards, all of which bear the prestigious designation of either Grand Crus or Premiers Crus, sit side-by-side with the vineyards of such famous Champagne producers as Krug, Veuve Clicquot-Ponsardin, Bollinger, Pommery, Mumm and Moet & Chandon. The deep, chalky subsoil and temperate microclimates of these hillside vineyards provide wonderful and unique growing conditions for both Pinot Noir and Chardonnay grapes, conditions which the Morlets have been taking advantage of since the 1800's when they first planted them. Emphasis is placed on the natural characteristics of each vineyards' terroir as well as the personality of each vintage. Applying old world techniques, the first fermentation occurs in French oak demi-muids barrels, a rarely used method practiced only by producers of the finest Champagnes. 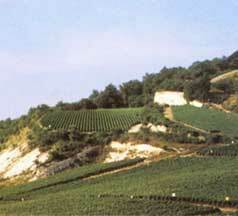 The Champagnes are then aged in underground caves for a minimum of three years and are released upon maturity. Powerful and harmonious, Pierre Morlet Champagnes gracefully age into unique and truly magnificent wines. Champagne Pierre Morlet reflects the passion of an Artisans-Vignerons family. With a winemaking philosophy rooted in old world quality, production is purposefully limited, allowing the Morlets to focus on creating the finest Champagne possible. We hope that you will enjoy visiting this website. May Pierre Morlet Champagnes satisfy your taste buds. Santé!